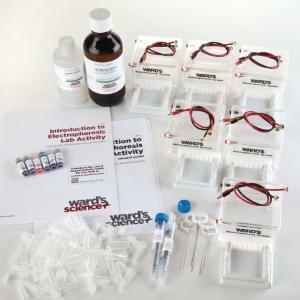 This inexpensive set of materials outfits your whole class for gel electrophoresis at a great price. 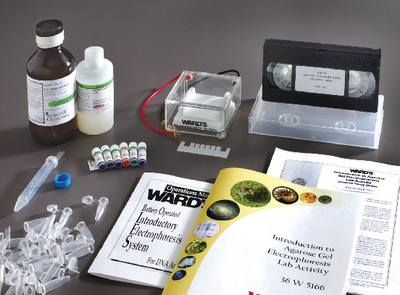 These electrophoresis dyes can be used as a precursor to working with DNA and proteins. When the colorful dyes are electrophoresed, they separate by their molecular size and charge. Students compare the electrophoresed results of the individual dyes to the dye mixture to find the missing component. 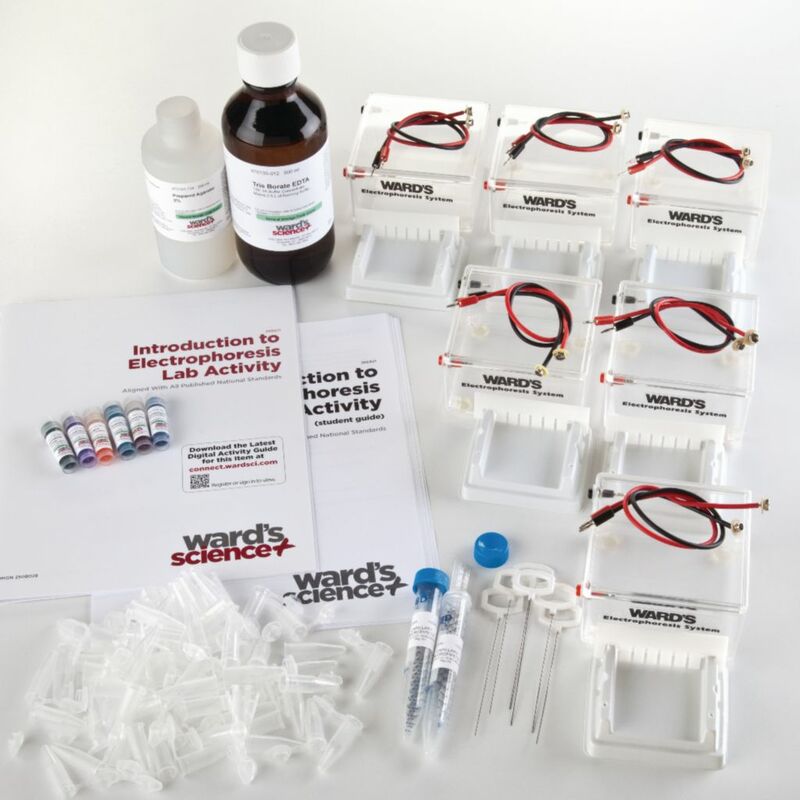 Ordering information: This kit includes 6 electrophoresis boxes (class size) or 1 electrophoresis box (demonstration size), capillary pipettes, 6 different dyes, powdered agarose, TBE buffer, microfuge tubes, and instructions for students and teachers.